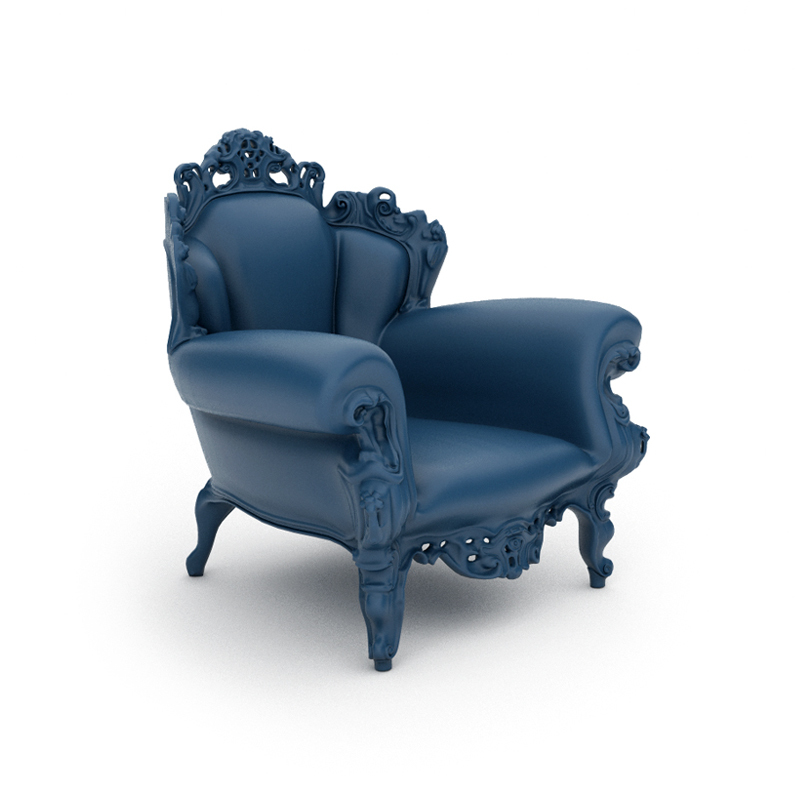 This lavish Magis Proust armchair is a modern reinterpretation of old design. With its intricate details, the strong color palette it carries and the imposing stature, this piece can enhance any space with its blend of old and new aesthetics. Given its finishing material, this is a chair that is as suited for outdoor spaces as it is for indoor ones.